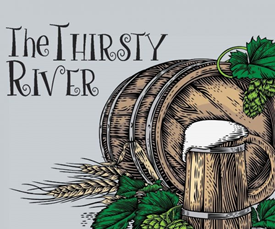 The Thirsty River exhibit explores the role of alcohol in the Connecticut River Valley – past, present and future. Trace its story beginning both as a commodity and as sustenance in the daily human experience. Learn about how different beverages were created from local agricultural and how immigration, trade, and changing fashion altered the availability and popularity of certain beverages, generating new tastes for new generations. Temperance, prohibition and the effects of the reform movements are also a part of the story. This event is held at the Connecticut River Museum, 67 Main Street, Essex, CT. Find more information at ctrivermuseum.org or 860-767-8269.